Powerful plant based dishwasher tablets in a fast dissolving soluble wrapper to achieve brilliant cleaning every time. These eco-friendly dishwasher tabs are free from any harsh toxic chemicals that can residues on your dishes. The tablets are vegan and 100% cruelty free, and they don’t need the chemicals found in regular dishwasher tabs to clean through tough, baked on stains with a shine function for glasses, cutlery and metals. Suitable for septic tanks. 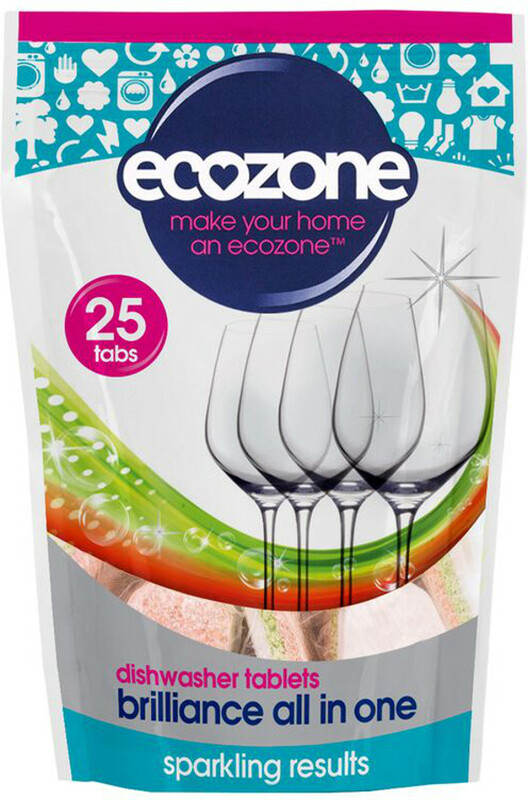 The Ecozone Brilliance All in One Dishwasher Tablets - 25 product ethics are indicated below. To learn more about these product ethics and to see related products, follow the links below. A pretty good product. Very occasionally it doesn't quite do it, but I'm happy to carry on using it. 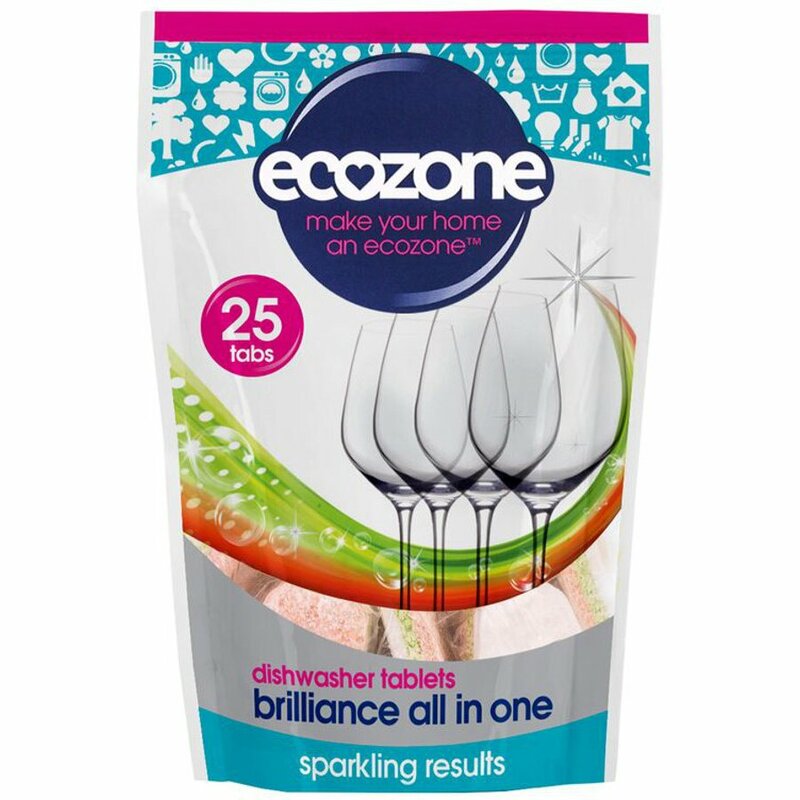 There are currently no questions to display about Ecozone Brilliance All in One Dishwasher Tablets - 25.